We grabbed some old toys, took them apart and reassembled them into a recycled toy robot. This was a super fun project to do! I will give you some tips below on how to make your robots but know that it is very easy to do and the results are great. This project is part of a reduce, reuse, recycle unit study. If you are looking for more homeschool unit study ideas <<<click the link. 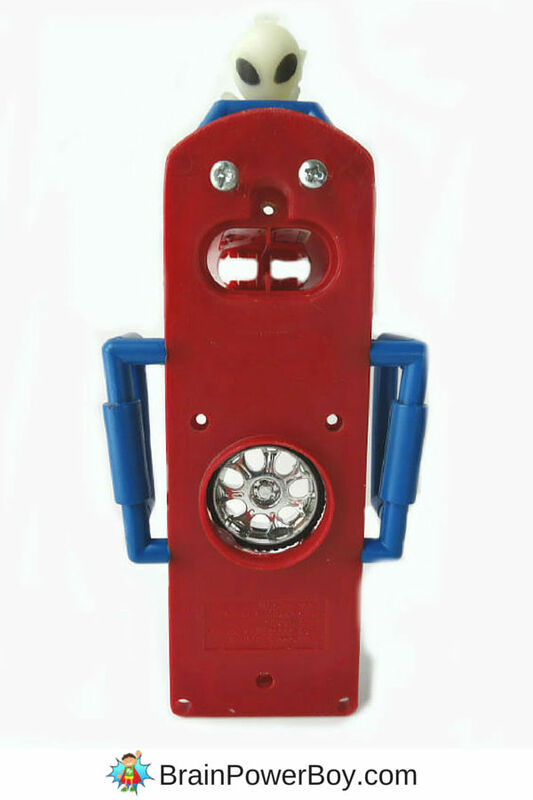 To make your recycled toy robot you need some old toys. Makes sense, right?! If you have some small toys that you are done playing with or some that have broken you can use those. You can also go to rummage sales and snag a few small toys. We got ours out of “free” boxes people put out. Decorate the robot with awesome robot style pieces. We used some circuit boards and we really liked how that turned out. One of my favorite parts of this project is reverse engineering the toys! It is interesting, and some great learning takes place, seeing what makes the toys work and the different gears, motors, parts etc. that are in the toys. This is also an easy project that is full of creativity. 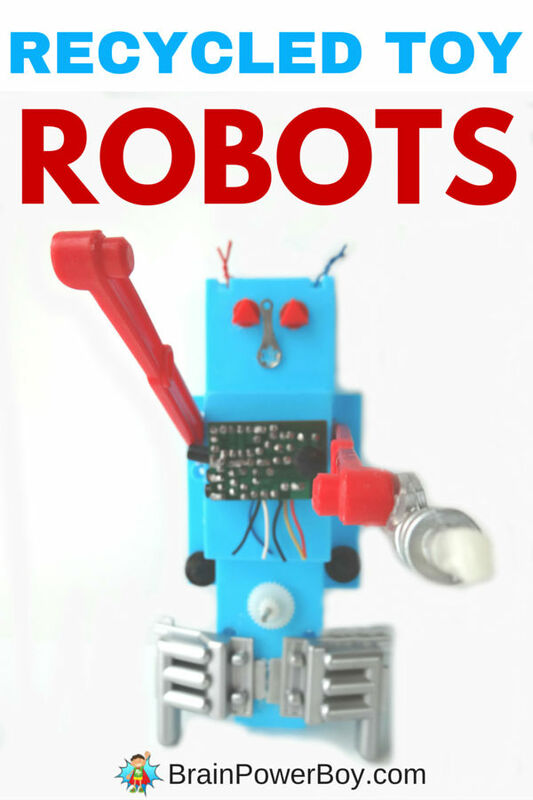 Designing your very own robot is awesome! We ended up making three of them we were having so much fun. 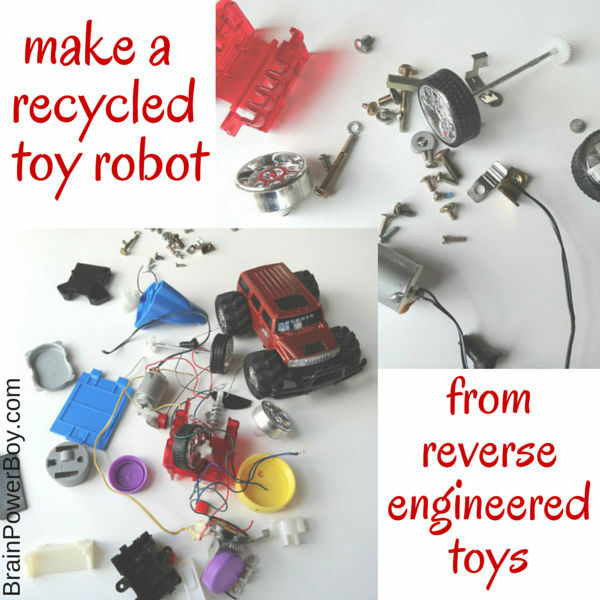 I hope you enjoy making your very own recycled toy robot. 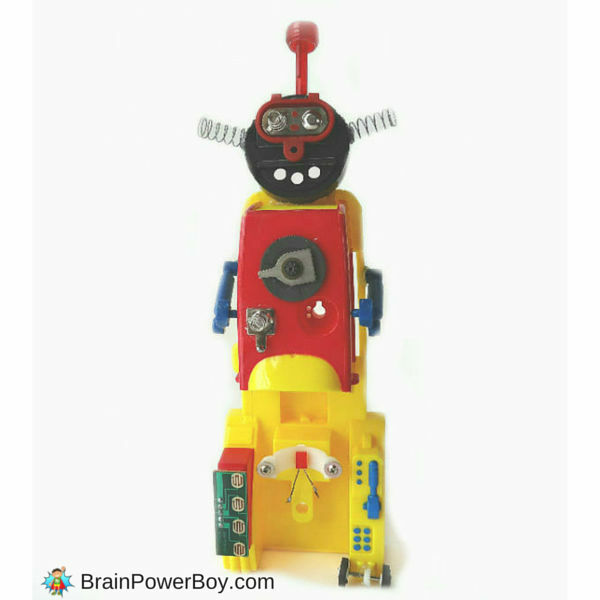 Feel free to share a picture of your robot on the Brain Power Boy Facebook Page wall. We would love to see your robots. 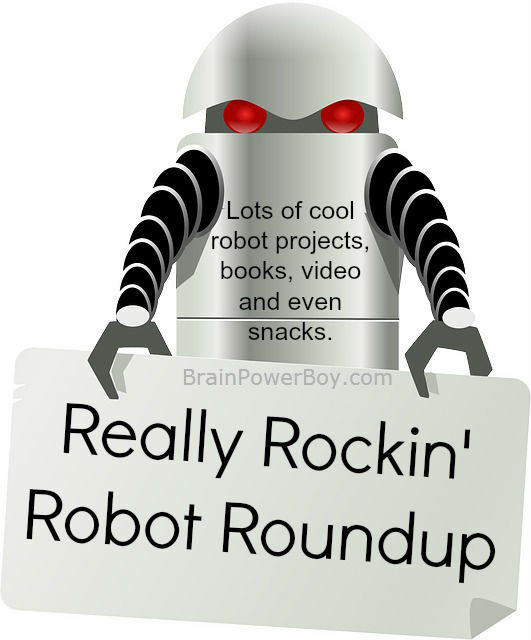 Be sure to see our Robots Homeschool Unit Study for a LOT of awesome robot and robotics ideas. For more ideas try these other free homeschool unit study resources on reduce, reuse and recycle which we participated in. My children would love to build their own robot and we have PLENTY of toys!! Thanks for sharing all of these great resources and inculding our recycling post.